DUBLIN 9th APRIL 2013 - Simon Minias, a 16-year-old, fifth year student at Gorey Community School has taken first prize in this year's 59th Texaco Children's Art Competition - his first time entering the competition. 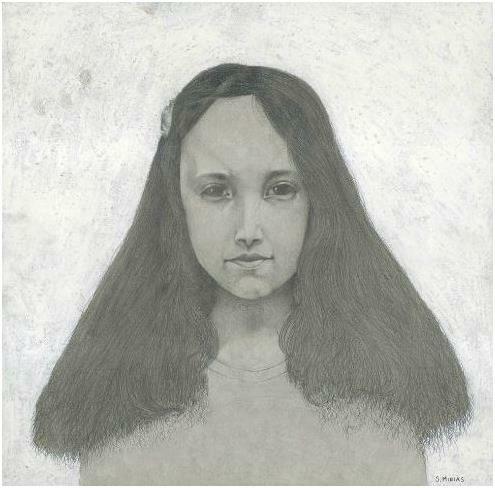 His winning entry - which competition adjudicators said was a ‘wonderfully composed and superbly executed’ portrait study entitled ‘My Sister Sophie’ - is an exceptionally detailed work, carefully executed with grey graphite pencil and white pencil highlights set against a white oil pastel background. With his father Christof - himself a freelance graphic designer - and mother Ewa, Simon and his sister Sophie came to Gorey from the Polish city of Lodz. Arriving in 2008, he enrolled to complete his primary education at Gorey Educate Together school. 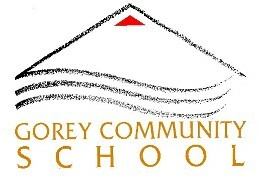 One year later, in 2009, he began his secondary education at Gorey Community School. Resident at Mill Green in Gorey, Simon’s achievement has kept alive the tradition of success which Gorey Community School has enjoyed in the Texaco Children’s Art Competition. This has once again focused a spotlight on the quality of art teaching at the school and the importance that it attaches to the subject of art education. 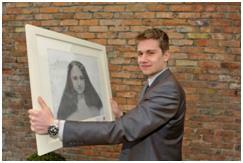 In this regard, Simon praised his art teachers Paul McCloskey and Andrea McCorry whose encouragement and guidance, he said, ‘has been instrumental in helping me to win my prize’. In winning the coveted first prize, Simon fought off competition from the tens of thousands of young students from across Ireland’s 32-counties who took part in the competition. Ambitious to develop a career as a concept design artist in the computer games industry, Simon will receive a first-prize of €2,000, with which he intends to purchase a MacBook computer that he will use to develop his interest in computer-aided design. His prize will be presented to him at the prize giving ceremony that takes place in Citywest Hotel, Dublin in May, when all of the 126 winners will be in attendance. Commenting, the Chairman of the judging panel, Professor Declan McGonagle, described Simon as ‘an exceptionally talented’ young artist. “His keen eye for detail will be immensely valuable to him should he pursue a career in the computer graphics industry,” Professor McGonagle said.